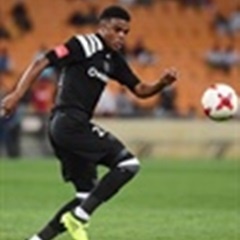 Cape Town - The rapid progress of Wiseman Meyiwa at Kaizer Chiefs and Kobamelo Kodisang at Bidvest Wits has provided inspiration for Orlando Pirates' teenage marksman Lyle Foster. Foster was promoted to the Bucs first team from their development ranks ahead of the current season and has enjoyed a very promising start, having made his top-flight debut just a few weeks after his 17th birthday. The youngster admits though that he's still struggling to get to grips with how quickly his career has taken off. "It's crazy; that's the only way I can describe it because just three months ago I was still playing U17 tournaments - playing in the Engen and all these renowned development tournaments that unearth youngsters," Foster told Goal.com website. "To be playing in the PSL now is crazy and I don't know how to take it, but I'm just happy and I thank God for the opportunity. "Hopefully I can grab it with both hands now that I'm playing for a huge club like Orlando Pirates and hopefully make my mark," he added. The quick progress of another two huge teenage talents in the PSL did, however, help the young Buccaneer to feel comfortable making such a rapid transition. "I remember watching the  Carling Black Label Cup, and you know Wiseman Meyiwa from Kaizer Chiefs, he’s only 18 years old - and that inspired me to say ‘if he can do it, why can’t I?’... Kobamelo Kodisang, he’s playing for Bidvest Wits at the age of 18," he said. "So, these are the things that motivate and influence us to say ‘If they can do it, why can’t you?’ So, that was my motivation to try and work hard and try to get there."